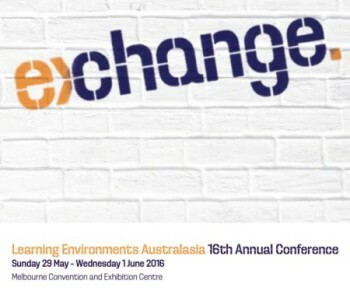 The Association for Learning Environments (A4LE, formerly CEFPI) is holding its annual conference at the Melbourne Convention and Exhibition Centre, Sunday 29 May – Wednesday 1 June. This is the premier forum for designers, educators and policy advisors involved in design, planning and implementation of learning environments. Our team member Ben Cleveland is conference chair, in partnership with Jo Dane. Program now available.